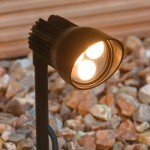 Low voltage garden lights have come along way since their introduction some years ago. Fittings have become sleeker, stylish and more reliable. The light (luminescence) has become more powerful whilst using less power. Low voltage garden lights than can now be dimmed and change colour are all readily available with systems to match most budgets. Low Voltage Garden Lights – the systems. Low voltage garden lighting comes in 2 differing types. There is low voltage halogen lighting and LED lighting. Both systems run at 12V, but, and this is a big but, halogen runs from 10 watt upwards per bulb where as LED lights run from 1 watt upwards. This is a huge saving on your power usage (and bill) per annum! You may pay a little more for low voltage LED lights to start with but the longer term benefits far out weigh this drawback. Below I discuss the various benefits of low voltage garden lighting, how to plan for a system and steps to be taken along with my own tips. Bulb and fittings get hot. Shorter lifespan of bulb compared to LED. More complicated than LED systems to install. Brightness of bulb. if you are looking to illuminate large buildings or very large trees you may find LED insufficient. Easy to install without the costly use of an electrician. Bulbs can last up to 100,000 hours of use. Fittings stay cool. This is important if you have a family garden where children may pick up a ground fitting. Exceptionally low power consumption. Compared to other types of garden lights LED lighting offers a huge saving on your annual electricity bill. Flexible. Additional LED lights can normally be added to the lighting system with a massive overhaul. Planning you low voltage system. Before you spend any time on-line or at the electrical factors looking at fittings plan your system. Simply sketch out your garden on a piece of paper. Then mark on your sketch what you would like to illuminate at night. Remember illuminating nothing will give you nothing in terms of light achieved in the garden, it only contributes to light pollution. The light is simply lost without any benefit. Statues, water features and focal point plants are all elements in the garden that will create a dramatic effect at night time if illuminated. Brick and rendered walls can also be either illuminated by uplighters or down lighters with great effect. Once you have worked out what you would like to light up, how many fittings etc it is time to find the lights and the necessary bits and pieces required to install the lights. Most reputable garden lighting suppliers are to be found online and all all too happy to advise you with all you need to know. Once armed with this information you will then need to decide if you are confident enough to install them yourself. Low voltage lights are not dangerous as they run off a transformer but if you do not have an outside electrical socket for the transformer to run off then you will HAVE to call an electrician in to install one for you. Once installed do not be tempted to busy the low voltage cable under the soil. This will only end with frustration when you go through the cable with something as simple as a garden trowel. Low voltage cable is not armoured like 240V cable therefore it is very easy to break. If you wish to find out a little more in depth information on LED lights wikipedia have an article here. 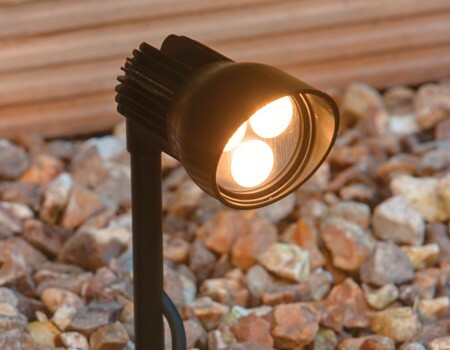 I hope you found this article useful in your quest for low voltage garden lights.